Police from the internal affairs unit are investigating the death of an officer at the Collie Police Station, south of Perth. Sergeant Elliott Watt was found dead in the armoury room of the station yesterday. Police say he shot himself with a police issued firearm. Speaking outside the station this morning, Commissioner Karl O’Callaghan said local officers were shocked. “This has affected all of the police officers and their families,” he said. Sergeant Watt was the second in charge at the station and had been in Collie for 12 months. He leaves behind a wife and four children, aged 11, five, three and 18 months. His death is not been treated as suspicious, and his fellow officers are being offered counselling. The Perth Coroner’s Court has heard that exposure to a number of critical incidents, including fatalities, could have contributed to a police officer’s suicide. 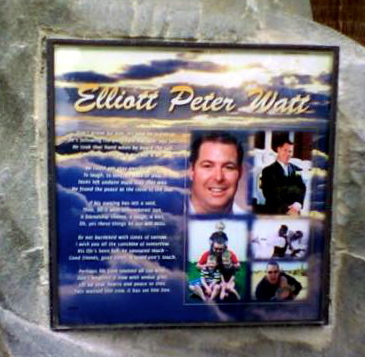 The Coroner has begun an inquiry into the death of Elliot Peter Watt, 36, at the Collie police station in 2008. 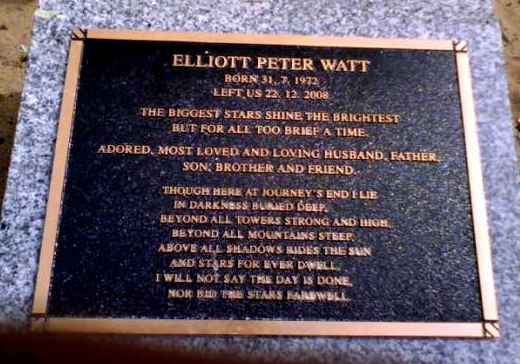 Sergeant Watt, who was the acting officer-in-charge of the station, had four sons. His body was discovered in the station’s armoury alongside his police-issue firearm. The Coroner is investigating what impact the daily access to firearms had on the sergeant and whether WA police had adequate mental health safety checks in place. His wife, Emma Watt, told the court her husband was deeply affected by his work. Mrs Watt told the inquiry her husband’s mental health started to deteriorate when he was stationed in Kondinin and he had to attend a number of critical incidents with limited or no back up. She said these included a serious car accident involving children, a farmer’s suicide and an unsuccessful attempt to resuscitate a footballer. Mrs Watt said he was never offered counselling by WA Police and bottled up his emotions. Earlier today, the court was told Internal Affairs investigated Sergeant Watt’s death and found there was no single work related incident that triggered his death. The family’s lawyer said the critical incidents were just as likely to contribute to the suicide as any family problems. The inquiry also heard Sergeant Watt was depressed in the the years leading up to his death and was looking for another job. The wife of a policeman who shot himself while on duty at a WA country police station has described how he broke down the night before crying and said he had enough of work but didn’t know what was wrong. 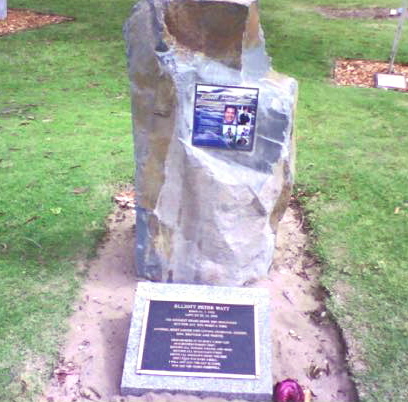 Elliott Peter Watt, 36, took his own life with a police pistol in the armoury of Collie police station on December 22, 2008 – his first day back after a three week break. An inquest is now examining the tragedy and whether strategies can be used to avoid a repeat of the police suicide. Today, Emma Watt described how her husband, a father of four, had displayed a dramatic change in his behaviour in the days leading up to his return to work, showing feelings of agitation, withdrawal, and finding a lack of pleasure in the things he used to enjoy. She said his dislike of going to work had reached the point where she had to wake him up for work, prompt him to shower and lay out his uniform with the belt through the loops and items in his pockets so that he would attend. The night before he killed himself, she had asked him what was wrong, she told the inquest today. “He just looked at me and said ‘I just don’t know’,” she said. Mrs Watt said he had eventually withdrawn from her again, prompting her to call Lifeline in hysterics. The inquest has heard earlier evidence that Acting Sen. Sgt Watt had dealt with “critical incidents” during one stint at a country police station including the failed resuscitation of a young man. He had also attended a serious car crash in which a child was badly injured and the suicide of a farmer in his car after which he had to clean the blood-stained ute and return it to the farmer’s wife. The inquest heard Acting Sen. Sgt Watt, who had 15 years experience in the police force, worked by himself for extended periods while stationed at country towns and had $35,000 worth of annual leave owing when he died – the equivalent of about five months’ leave. Mrs Watt today said she had believed her husband was depressed. But she rejected suggestions his state could have been solely due to the domestic pressures of having young children and a relatively new and senior job. She said she had not called a doctor because her husband, who she described as quiet and private, had been angry when she once suggested he could be depressed. However, after her call to Lifeline on December 21, 2008 she had made plans to visit a GP with her concerns – a visit she had unfortunately scheduled for two days after her husband shot himself. Mrs Watt said she had assumed the police force looked after its officers and that annual checks would be conducted on their mental health. She told the inquest she would have contacted the police force’s health and welfare division earlier in the year with her concerns about his increasing mood swings but that she had been unaware of the division. Mrs Watt said her husband was unlikely to ask for assistance from within the police force, but she believed information about the health and welfare division should also be provided to partners of police officers. The inquest has heard an internal police investigation found there was “no one specific incident” that seemed to prompt Acting Sen. Sgt Watt’s suicide, though the investigator agreed his involvement in critical incidents could have affected him. The report instead suggested non-work issues could be to blame. The inquest heard training and education about stress management was required for police but they were also expected to ask for assistance. Det-Sgt Judith Seivwright, who conducted the internal police report on the suicide, denied suggestions that officers feared asking for counselling or assistance would be viewed negatively by senior officers. COUNTRY policeman Elliott Watt cleaned up after a farmer’s suicide, tried unsuccessfully to resuscitate a young footballer and was brought to tears by a child’s injuries from a car crash in the months before he told his wife he did not want to go to work anymore. The senior sergeant shot himself at the Collie police station in Western Australia’s southwest after telling his wife everything was getting to him. In an inquest that is throwing a spotlight on the difficult work of police in isolated rural stations, Watt’s widow, Emma, said her husband killed himself because he did not want his moods affecting their three children. He took his life three days before Christmas 2008. The night before, Watt broke down and told his wife everything was getting to him and he had had enough of work. Giving evidence yesterday, Mrs Watt said she had to get her husband out of bed each morning, make sure he had a shower and make him get dressed and go to the station. She had earlier told the court about three critical incidents her husband had been involved in while he was the officer in charge at Kondinin, a town of 300 people 275km southeast of Perth. She said she had found her husband crying after attending a car accident in which a child was injured. He had tried unsuccessfully to resuscitate a young football player, and he had to clean the ute of a farmer who had killed himself in it with a shotgun. She said her husband had become withdrawn after the transfer to Collie. She said he had expressed feelings of “nothingness”, played less with the children and could not sleep or concentrate. The next morning, Watt showered and dressed himself. “That’s why the day he died was so unusual,” she said. Later that day, he took a gun from the station’s armoury and shot himself. 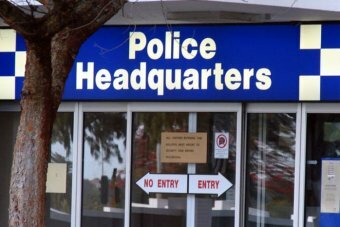 The Police Union says it is unfortunate the suicide of a police officer had to be the catalyst for reform in WA’s police service. The coronial inquest into the death of Acting Senior Sergeant Elliott Watt concluded yesterday. Sergeant Watt shot himself at the Collie Police Station in 2008. Coroner Alistair Hope has recommended WA police conduct annual health and wellness reviews on every police officer in the State. The President of the Police Union Russell Armstrong says more resources are needed. “Not enough staff within health and welfare, four clinical psychologists for nearly 6000 people and we’re dealing with 24/7 critical incidents,” he said. “And that is not enough staff, so it’ll have to be resourced and resourced very quickly. “It’s long overdue and should have been put in place a long time ago,” he said. WA police are yet to review the recommendations. 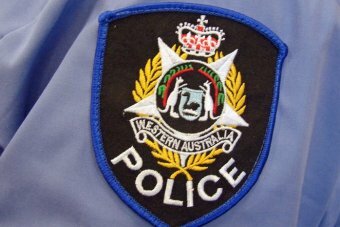 The deceased was an acting Senior Sergeant of police with Western Australian Police (WA Police) at the time of his death on 22 December 2008. The deceased was born on 31 July 1972 and so was 36 years of age at the time of his death. was his first day back at work after a period of three weeks long service leave. On the day of his death the deceased worked from 8am and had been conducting his normal duties as the Officer in Charge of the Police Station throughout the day. It appears that he was last seen at about 3:45pm. The deceased was discovered in the armoury at 4:25pm having died of a gunshot wound to the head. The deceased used the Glock pistol which had been allocated for his own use to shoot himself while alone in the armoury of the Collie Police Station. None of the police officers on duty at the Collie Police Station heard the shot being fired and none were alert to the possibility that the deceased might be about to take his own life prior to his doing so. The State Coroner found that the death arose by way of Suicide. The State Coroner observed that it was important that families of serving members are alert to the available services as it is often family members who are most aware of changes in a person suffering from mental health problems. I recommend that WA Police take action to better promote information in relation to available services to families of serving members. The State Coroner observed that the deceased’s colleagues were not alert to his deteriorating mental condition. This was in large part because the deceased concealed his condition from them, but it is also clear that they had received little training in the management or identification of persons suffering from depression. Evidence at the inquest revealed that for officers taking on senior management roles, while training in respect of these issues is available, it is at present not a mandatory requirement. I recommend that training in respect of the identification and management of officers suffering from stress or depression should form part of the training for police officers entering management roles. I recommend that WA Police ensure that there is in place appropriate computer software which will enable the recording of all contacts to the Health and Welfare Branch relating to individual officers where concerns have been expressed as to the welfare of those officers. The State Coroner observed that the evidence in this case has highlighted the fact that policing can be a demanding and stressful occupation. The deceased was described as a very good officer who was generally highly regarded and yet none of his work colleagues had any real appreciation of his deteriorating mental health. In the State Coroner’s view there needs to be some form of regular health review or wellness review of every police officer in WA Police. I recommend that WA Police put in place a system which would ensure that in respect of every member there is some form of wellness review conducted or at least offered each year which will identify significant changes in physical and mental health. A letter dated 20 March 2012 addressed to the Minister for Police invited the Minister to respond to the State Coroner’s recommendations. At the time of publishing the annual report a response had not been received from the Minister’s office. FURTHER INFORMATION SOUGHT FROM EMMA. It will be 8 years this year. And still no closer to acknowledging those already lost, and helping, saving, those suffering. So sad….Everyday I think, how easy it would be. Easy it would be to stop talking and start doing. Helping. Acknowledging. Remembering. Sharing. Supporting. And stop this waste! A POLICEWOMAN and mother-of-four who fell into financial ruin after the accumulated psychological trauma of her work forced her to medically retire has appealed to Queen Elizabeth II in her bid to seek redress. Wendy Kennedy, 49, served in the West Australian force for 15 years, seeing horrendous crimes such as a woman who had been stabbed and thrown through a window by her partner. She saved people from ending their own lives, but other times, nothing could be done. The images are burnt into her mind and still haunt her. She lists off the many times she was in mortal danger – a broken bottle attack while working pregnant as Katanning’s first female police officer, running from a man who came at her with a machete, seeing an axe about to fall on her before her partner jumped on the assailant. It still rattles her to recount the time a car ploughed into her mounted police colleague as they patrolled a dark Perth highway at 2am. “I watched him go over the car,” Ms Kennedy told AAP. His head hit the cement. He was convulsing, his head in blood, his horse was hurt. She rushed to his aid and he thankfully pulled through, but no-one asked her if she was okay and she was sent straight back to work. Ms Kennedy, who suffers post-traumatic stress disorder, says the mental health of officers is not properly monitored, and she’s backing the Medically Retired WA Police Officers Association in calling for regular wellness checks, particularly after traumatic jobs. Such checks were a key finding from an inquest into the death of Collie policeman Elliott Watt, 36, who fatally shot himself in the station’s armoury in December 2008 on his first day back from long service leave. For Ms Kennedy, her psychological health is turning a corner thanks to the support of the association and her psychologist Joseph Presti. And after not being well enough to work for the past 12 years, she’s now managing four hours a week as a personal trainer. Her clients, who have become friends, understand if she has to reschedule because some days are better than others when you suffer from PTSD. But she’s so broke, she’s on the brink of being evicted. Even her superannuation fund was closed after fees ate up all that was in there.Sick of asking for help from Centrelink, Ms Kennedy has gathered strength to fight for the recognition and financial redress she feels she deserves after all of her public service. “I put on my life on the line and I’ve seen the most gruesome stuff,” she said. She’s preparing her first application for an ex-gratia payment from the state government, with the WA Police Union officially declaring her case has merit. The rare act-of-grace payments are currently the only way medically retired officers are financially acknowledged, although they are usually for physical injury, and while a worker’s compensation scheme is now finally on the cards for police, it won’t be retrospective. Like all WA police, she’s not considered an employee of the state, so Ms Kennedy has written to the woman she promised to serve – the Queen.
. The coroner also acknowledged, to some extent, the stigma associated with admitting to suffering from stress or from mental health problems and the likelihood this declaration has on promotional opportunities. 9 years on and I miss him more every day.